All of a sudden, your feet get involved. they help propel you forward and they make that nice “plonk” sound, like when the tennis ball hits the sweet spot on the racquet. 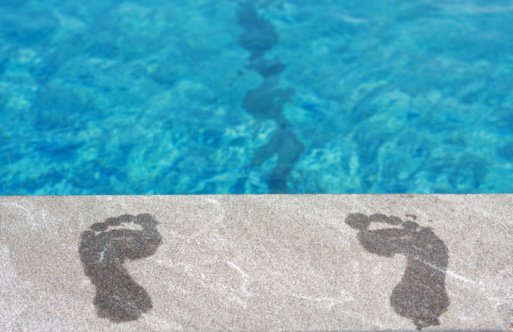 Of course, there’s plenty more to a strong swim stroke than that, but if you’ve been avoiding kick drills because you just don’t go anywhere, think of spiders on your toes. Then see how fast you move.